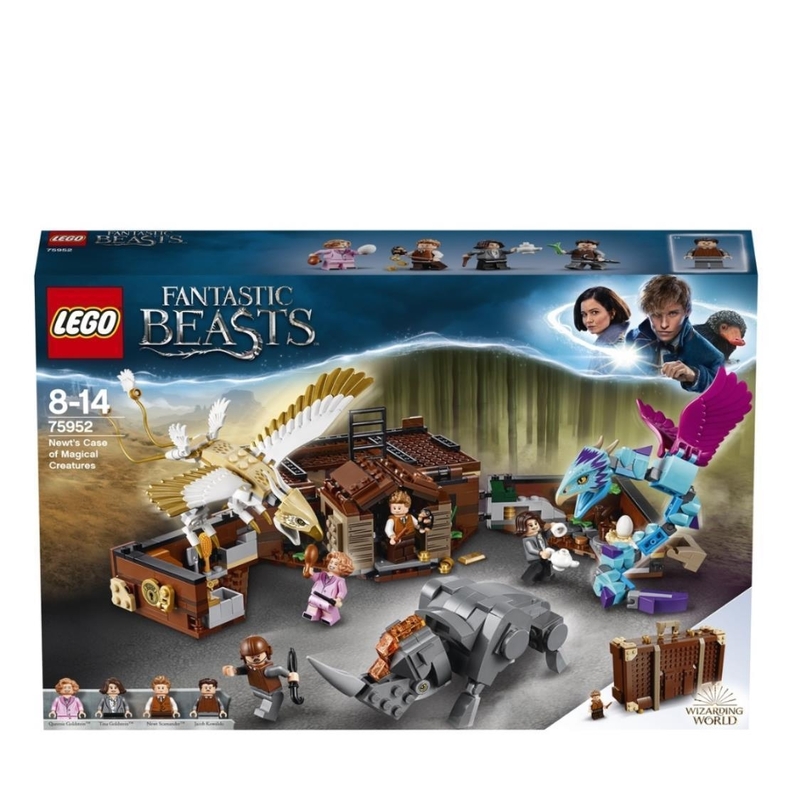 Step into LEGO® Fantastic Beasts™ 75952 Newt’s Case of Magical Creatures, there’s room for everyone! Help Newt take Jacob, Tina and Queenie on a tour around the different magical beast habitats, and teach them how to look after the Erumpent, Occamy, Thunderbird, Niffler and Bowtruckle. Have lots of Fantastic Beasts fun exploring, mixing potions and caring for the magical creatures. 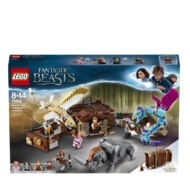 - Includes 4 minifigures: Newt Scamander™, Jacob Kowalski, Tina Goldstein™ and Queenie Goldstein™, as well as buildable Erumpent, Occamy and Thunderbird creatures, plus Niffler and Bowtruckle figures. - Features a buildable and foldable case containing a nest with an Occamy egg, shelter and grooming areas. - Open and unfold the case for portable play! 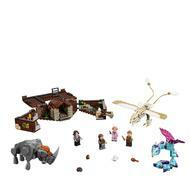 - Use the accessory elements to care for the magical creatures. - Recreate iconic scenes from the Fantastic Beasts™ movie series. - Accessory elements include 4 wands, a teapot, brush, meat cleaver, turkey leg, umbrella, helmet, coins, gold bar, ladder, bucket and magic potions. - Case (closed) measures over 5” (13cm) high, 6” (16cm) wide and 1” (4cm) deep, and over 2” (6cm) high, 11” (30cm) wide and 3” (10cm) deep when opened out.